Facebook Messenger is a solid messaging service but up to this point, using it on the web can be somewhat counterproductive as it’s easy to get distracted by notifications and News Feed happenings. Fortunately for productivity, that’ll no longer be a concern as Messenger is now available on the web as a separate entity. 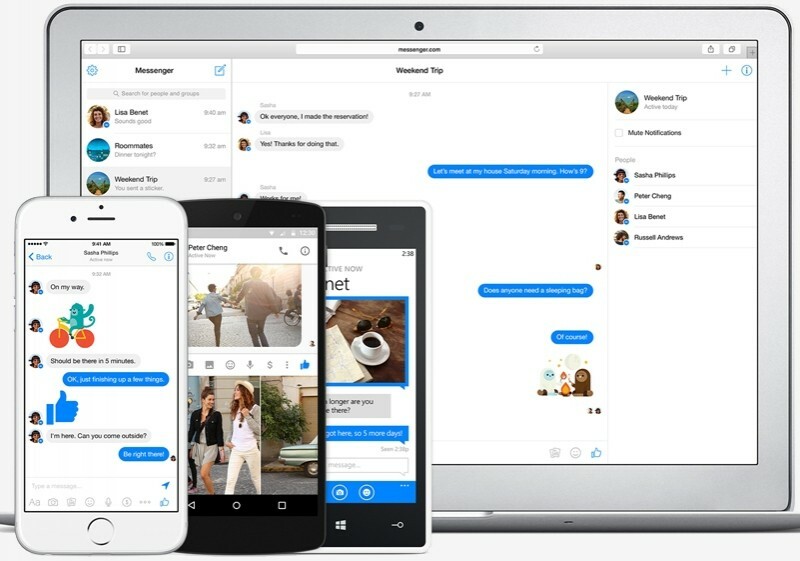 On Wednesday, Facebook launched Messenger.com which is a dedicated chat interface. Fans of the social network can still use Messenger on Facebook or but the new site gives working professionals an option to use the service without all of the distraction that the full site brings. The service is also available as a standalone application on mobile devices. To use the web version, simply visit Messenger.com and sign in with your Facebook credentials. Once inside, you’ll see that the interface is pretty simple. There’s a list of threads on the left with a familiar chat interface on the right. You’ll be able to do all of the things you’d expect from the web version including group chats, sharing photos and videos, stickers, emoticons and performing audio and video calls. This isn’t the first time Facebook has tried a standalone version of Messenger. In March 2012, the company released a standalone Messenger program for Windows followed by a Firefox app in December. Neither seemingly took off, however, as the social network discontinued both in March 2014.